If you’ve ever wondered what it would be like to be the queen of England and power-watching The Crown hasn’t helped, we’ve got a little more information for you: what the queen eats. And, surprise! It’s more reminiscent of your favorite snacks than whatever the latest clean-eating diet will have you chowing on. First, she has a fancy cocktail every day before lunch. It’s made with gin (probably Gordon’s, which holds a royal warrant) and Dubonnet, a sweet wine, and then garnished with lemon and ice. It sounds really refreshing, and you’ve got to give props to a 90-something-year-old woman who can drink a cocktail before lunch and not spend the afternoon napping. I mean, I can barely function if I have a mimosa at brunch (though inhaling massive quantities of hash browns probably has something to do with that too). Next, at tea time, the queen is served a variety of treats, including something called jam pennies, which are the most adorably British thing I’ve ever heard of — little sandwiches filled will raspberry jam and cut into penny-size circles. They’re basically little jam polka dots of happiness, and if I were queen, I would add them to my daily diet too. 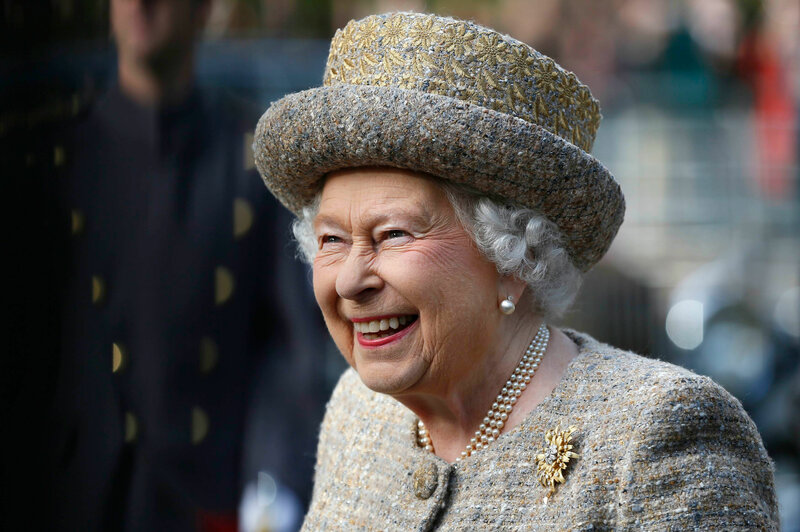 The rest of the queen’s meals seem normal enough: cereal and fruit for breakfast, grilled chicken or fish and vegetables for lunch and sustainably farmed beef, venison, pheasant or salmon for dinner. Sure, it’s a little fancier than Lean Cuisine, but you’ve got to admire the relative simplicity of her meals — she’s no Louis XIV. Queen Elizabeth II might not be just like us, but she’s definitely living her best life, and one I think we can all aspire to. Gin before lunch? I’m just trying to be queenly, y’all. A version of this article was originally published in March 2017.